Cimier takes the poetic expression “spirit of place” quite literally as the inspiration for a set of three timepieces named Spirit of Baar. The small town of Baar, at the heart of canton Zug, is the place where Cimier chose to set up its headquarters eight years ago. The brand pays it a glowing tribute with this model reflecting its sophisticated, solid and functional image. 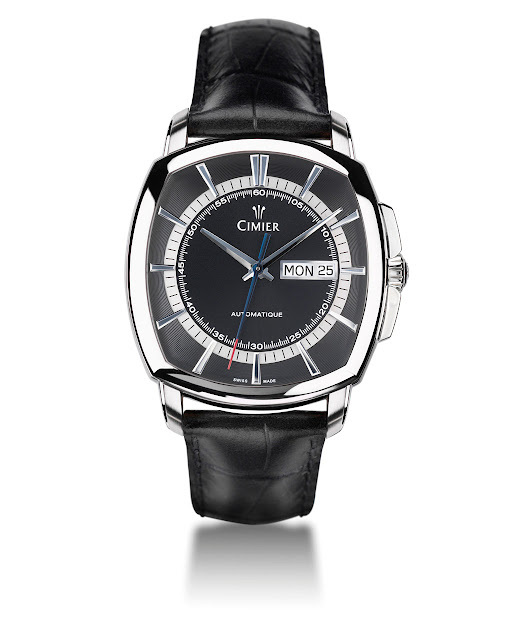 The black, grey or white dial is enlivened by facetted hourmarkers and a large date window. The transparent caseback provides a perfect view of the movement and is slightly curved to ensure optimal comfort on the wrist.